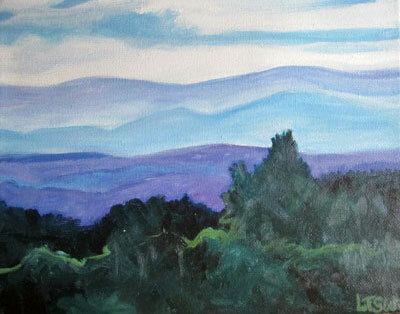 View from My Room, 8″ x 10″, acrylic on gallery-wrapped canvas. This was the amazing view from my room in Evergreen, Colorado! After returning home, I painted several skyscapes.